This week, we planted nine Norfolk Island Pines to line Sydney Showground as sadly Fusarium Wilt, a fungus for which there is no cure or no preventative treatment, has had a devastating impact on our Canary Island Date Palms. The Norfolk Island Pines have only replaced trees that had been affected by the Fusarium Wilt. Unfortunately, it is expected that other Canary Island Date Palms along Showground Road will be infected with Fusarium, and will also need to be replaced in the future; we will do this as evidence of the fungus appears. 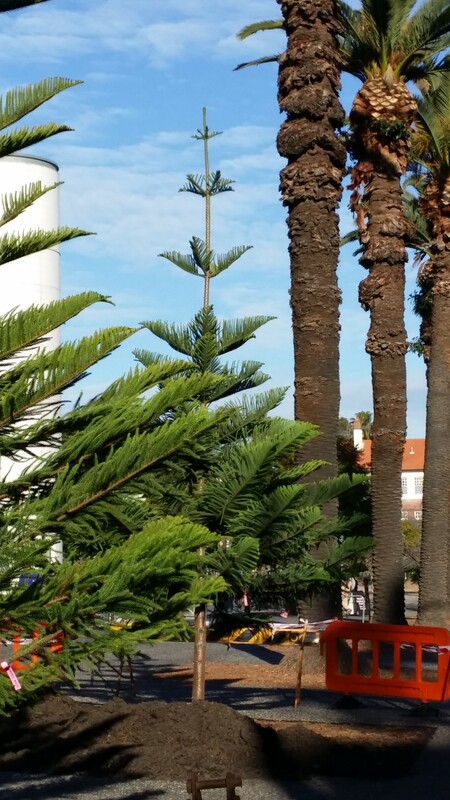 Other than being an attractive tree, the Norfolk Island Pines were selected as they won’t be affected by Fusarium Wilt and will again provide a tall narrow row of trees. 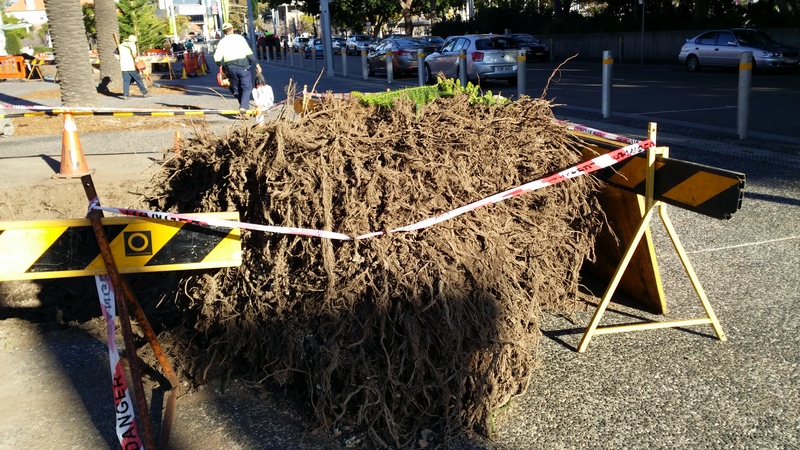 The replacement trees are about 4 to 5 metres tall, so their presence was obvious as soon as planting was complete. ‹ News from the Nest – Two eggs laid! 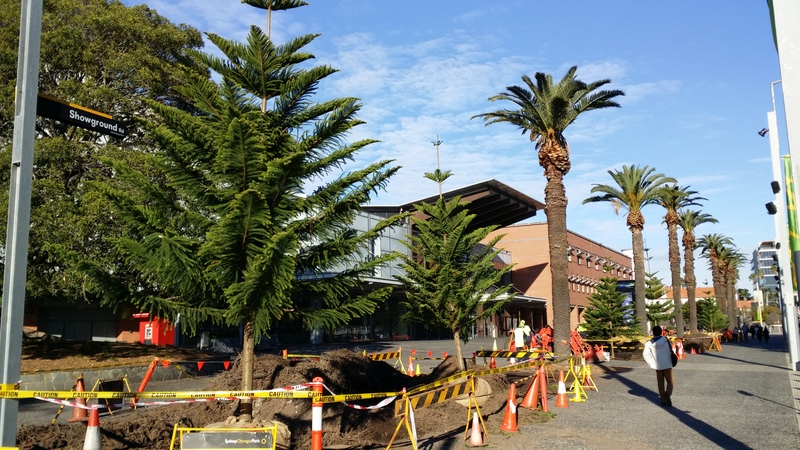 Congratulations on the rejuvenation of this important avenue of trees within the precinct. Are you planning to fence the Norfolk Pines until they are established? I was in Manly on the weekend and noticed that the smaller trees were protected by a simple fence.